Mylapore Times launches a social history project to source and collect material that document life in Mylapore. At the 2018 edition of the annual Sundaram Finance Mylapore Festival, one of the shows which got a big response was at the base of the shed for the chariot of Sri Kapali Temple. Displayed there were things people used to have in their kitchens and drawing rooms not too long ago. A Murphy radio set. A two-set coffee filter. A set of khoojas and one that was used to carry drinking water on train journeys. A gramophone record player and a vinyl records, a cassette player, a wooden walking stick, a iron safe which weighed 20 kilos and more. All these items were lent to the Festival by Mylaporeans and well-wishers. And when they were displayed on the four evenings, children, adults and seniors took long looks at them – some nostalgically, some very curious, some plainly unimpressed. This exhibition has now triggered a project which Mylapore Times has just launched. To collect anything in print that can be valuable for a People’s Archives. This project is a collaboration with the Roja Muthiah Research Library (RMRL) based in Taramani. RMRL has a vast collection that reflects Tamil print heritage and culture. Spanning a period of 200 years, the collection is of more than 3,00,000 items comprising books, journals, newspapers, printed ephemera and audio records. Prime Minister Shastri outside the Sri Kapali Temple. RMRL will shift the collected documents, collate them and archive them. Mylapore Times will help to secure material from Mylaporeans who wish to donate to the archives. So the project will look for photos of weddings and temple festivals, political meetings and campus red-letter events, land documents, invitations to weddings and arangetrams, brochures and annual day reports of institutions, film and concert songs, books, posters and handbills, even shopping bills – or the text-books your grand-dad brought at a local store or rations bought in the 1950s. A couple of years ago, in the office of the headmaster of St. Bede’s School, San Thome’, we spotted souvenirs in a distant shelf. And located a great find – the souvenir celebrating this school’s Silver Jubilee. The school was then called St. Bede’s European Boarding High School. That souvenir has lots of stories to share of academica and sport in early 20th Century Madras. 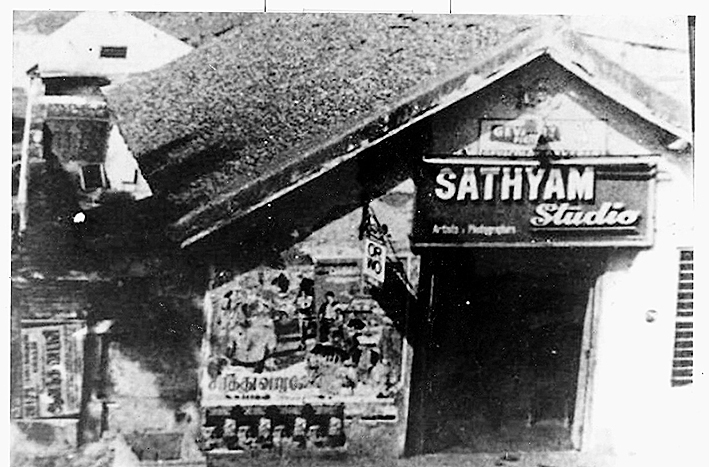 The Mylapore Times project would like to connect with all local schools with histories; to locate copies of souvenirs, certificates, marks books and photos. Years earlier, we came across a treasure of photographs. In the house of a leading Marwari family of Bazaar Road, Chandra Prakash’s family members (now residents on New Street) were staunch Congress party members. His father headed the Party’s South Madras unit and at meetings held in the Bazaar Road residence, K. Kamaraj was a regular. Leading up to the 1965 war with Pakistan, Prime Minister Lal Bahadur Shastri undertook a nationwide campaign to raise funds for the war. 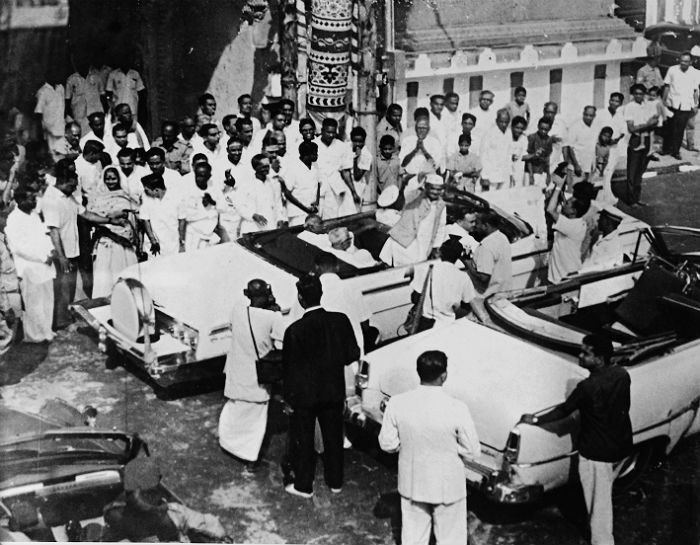 He visited Madras and Chandra Prakash owns a photo of Shastri seeking donations outside the east gopuram of Sri Kapali Temple. The project’s success depends a lot on Mylaporeans or ex-Mylaporeans and their willingness to part with documents, photos, souvenirs, even handbills and invitation cards. All these are valuable for social history. Mylapore Times intends to act like a field researcher and postman. Its mandate is to collect materials from Mylaporeans and deliver to the library. Hopefully, this project will help archive Mylapore’s social history. To reach Mylapore Times Social History project call the  newspaper’s office at 044-24982244 to arrange for a date and time to collect your stuff. Even a single souvenir of your school or a bill of notebooks and texts bought in the 50s is valuable. If you possess great photos but cannot part with them allow us to copy these visuals.